Homemade cake flour recipe! 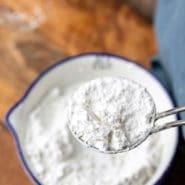 This easy cake flour substitute teaches you how to make cake flour from all-purpose flour and cornstarch. It’s always good to know how to make some DIY kitchen substitutes! 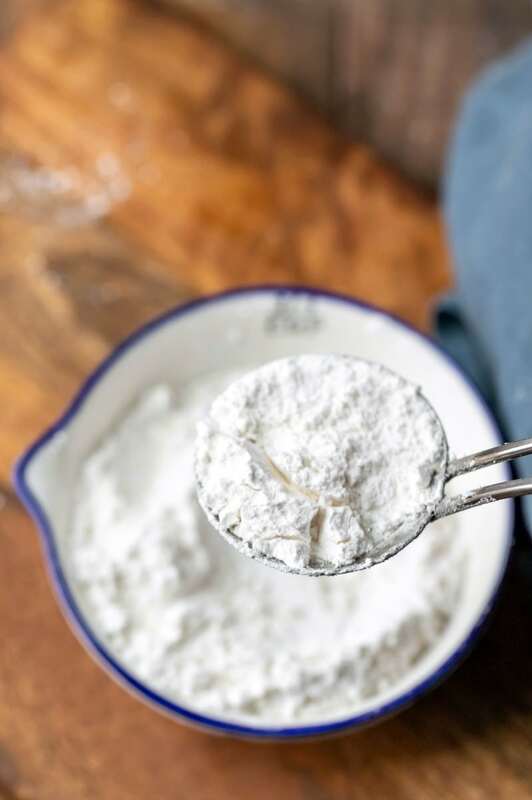 Whether it’s because you’ve run out of an ingredient right when you needed it or because it isn’t something you keep on-hand, this easy homemade cake flour recipe will let you whip up a batch whenever you need it. Luckily, it only takes 2 ingredients and less than 5 minutes to make this easy stand-in. Different types of flour have different roles in baking. Cake flour contains less protein than all-purpose flour. The protein content varies from brand to brand, but cake flours fall from 6-9% protein versus 10-12% protein in all-purpose flour. Cake flour is also more finely ground than all-purpose flour. It even has a softer feel than all-purpose flour. The lower protein content forms less gluten in baked goods. Gluten helps to give baked goods chew, and lower gluten keeps baked goods lighter. Cake flour’s finer texture also helps to give baked goods a softer, finer crumb and helps to make for a lighter, airier finished product. It’s really easy to make your own cake flour substitute, and you only need to pantry staples to make it. This substitute isn’t an exact match, but it makes a great stand-in in a pinch. 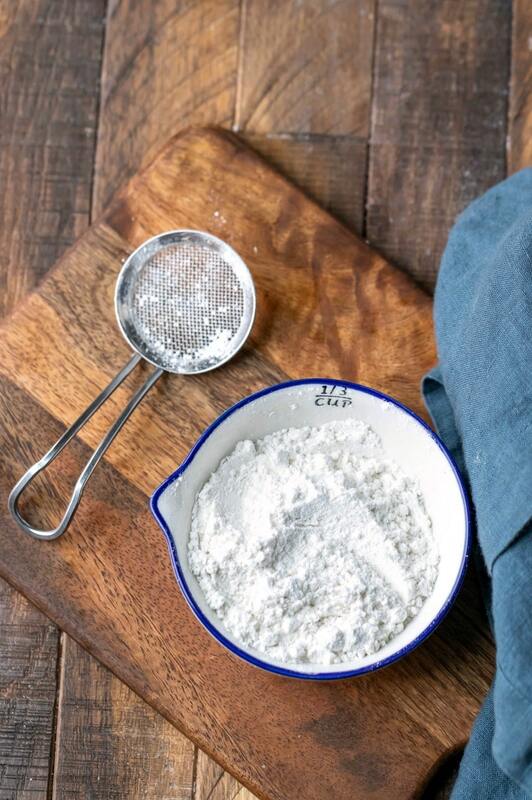 For every cup of cake flour that you need, begin with 1 cup of all-purpose flour. 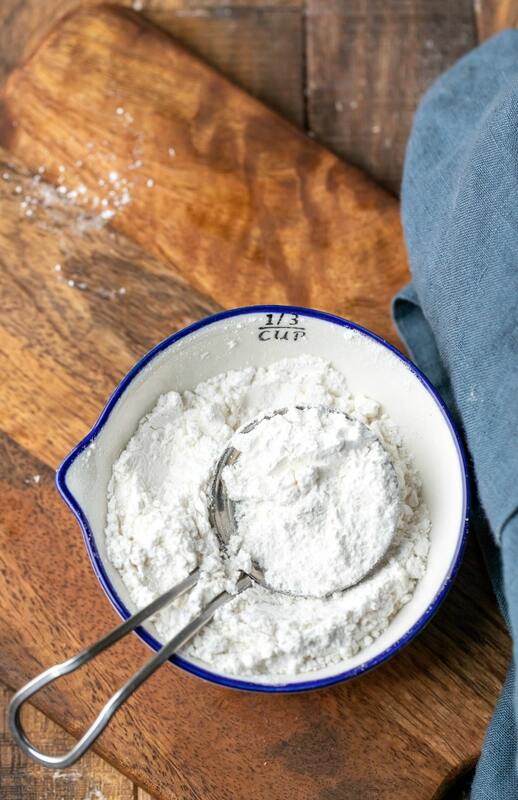 Remove 2 tablespoons of flour from the cup, and place the remaining flour in a bowl. Add 2 tablespoons of cornstarch into the flour in the bowl. Sift the flour and cornstarch together 4-5 times to combine the two. What if I need more than 1 cup? If you need more than 1 cup of flour, just scale the formula as needed. For instance, for 2 cups of cake flour, use 2 cups of all-purpose flour and remove 1/4 cup. Add 1/4 cup cornstarch to the flour. Store this flour in an airtight container as you would any other flour. If you’ve tried this homemade cake flour recipe, don’t forget to rate the recipe and leave me a comment below. I love to hear from people who’ve made my recipes! 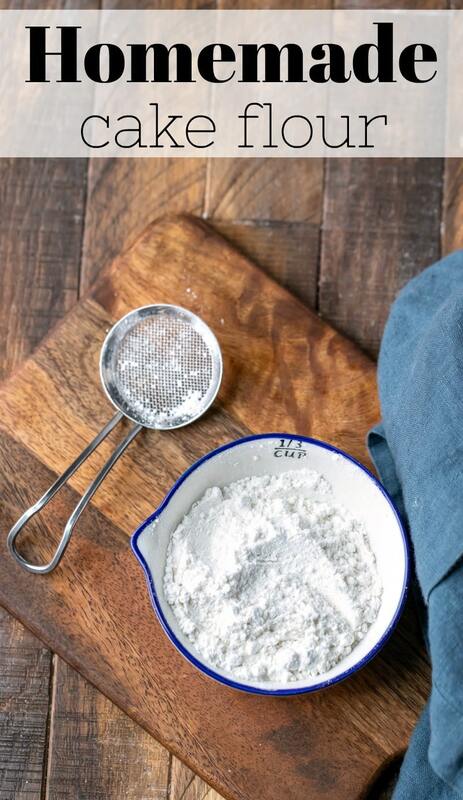 Remove 2 tablespoons flour from the cup of flour. This will leave you with 14 tablespoons or 3/4 cup + 2 tablespoons or 105 grams of flour. Add 2 tablespoons cornstarch to the flour. Sift flour and cornstarch together 4-5 times. Use in place of 1 cup of cake flour. This worked out great. Thank you. Thank you! I’m glad that it helped. =) Thanks for commenting!